each repair order is retained on the computer for quick and easy reference. 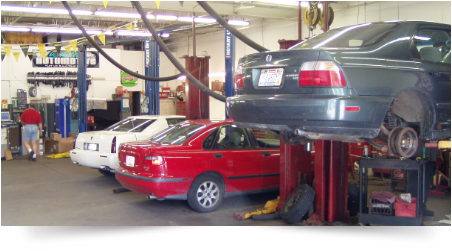 Whether it be a fleet of vehicles or your own personal vehicle, our professionally trained technicians are dedicated to giving you and your vehicle the special attention that you deserve. To those customers which we now service, we would like to say thank you from your continued patronage. To those of you that we have not yet had the pleasure to serve, we look forward to seeing you soon. Updated Automotive Repair installs quality factory and non-factory brand name parts at competitive prices.